Award-winning and award-generating film and television composer ED SMART, who has scored Oscar-nominated, Emmy-nominated, and Peabody-winning productions for screen and stage, establishes tasteful musical contexts for comedy, drama, documentaries, children's programming, and sports. His career in composing began with the Oscar-nominated feature film, HANK AARON: CHASING THE DREAM, and now ranges from the comedic (HBO’s ARLI$$) to the paranormal (Discovery’s A HAUNTING) , the mechanical (Velocity’s FANTOMWORKS) , and the athletic (BLUETOPIA: THE LA DODGERS MOVIE). Recent work also includes the #1 retail children's DVD series IESODO , for which he has received the Telly and Accolade awards. 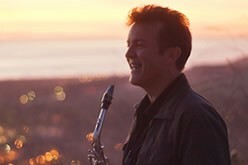 His musical versatility is rooted in his unique beginnings as a childhood opera soloist in Houston, his jazz composition training in Miami, and his work with some of the world’s finest musical artists in Los Angeles. Feel free to listen to music samples of Ed’s work, or if you have a particular project that could benefit from his music, email Ed to have a customized demo prepared for your listening through VIP Access. Ed's music, quite simply, helped us get an Academy Award nomination. He has an uncanny ability to heighten drama or build tension or otherwise enhance a scene with his soulful tunes. Ed Smart has been my composer for seven seasons and eighty episodes on "Arli$$". One could not wish for a more talented or collaborative partner. He delivers and he's fast! A pro's pro. Ed Smart is deeply committed to going above and beyond what is expected. His music scores are richly textured and embellish the story telling without overwhelming its content. He instinctively understands when it's appropriate to be bold and when to be subtle. Ed, your music in our picture "Bluetopia" transformed the movie. It is so much more than I could have hoped for. We had a temp track filled with Taj Mahal, Steve Winwood, Tom Petty and others, but once I heard your tracks I completely forgot about them. Your contribution added to the heart and soul of the characters. Thanks for the music. It's magic. - Timothy Marx, Director, Producer "Bluetopia: The LA Dodgers Movie"
Ed's a great collaborator - he listens to your film and his music is always spot on. - Frazer Pennebaker, Producer, Pennebaker Hegedus Films/"Al Franken: God Spoke," "Assume the Position with Mr. Wuhl"
For our hit production of "It's a Wonderful Life: a Live Radio Play", we used a score created for the show by Ed Smart. Ed's music set perfect moods in all of the right places while adding a layer of warmth and period accuracy to our re-telling of a classic story. 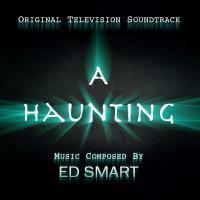 Ed Smart is an ace composer!